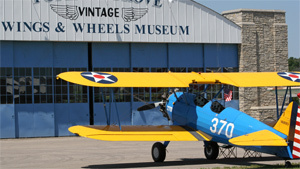 the world that feature warbird aircraft and/or military history displays. The museums are organized alphabetically by country and U.S. state. A tag indicates the most recently added or edited entries. works tirelessly to keep this directory current. Thank you, Pat! Got a museum link for us? make this a valuable resource. for his kind assistance in keeping this information current.